Can I book the ferry with you? 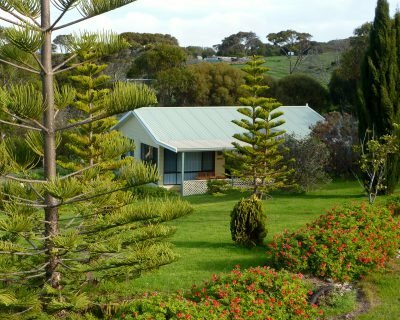 Yes – as Sealink agents we can book your return ferry trip to Kangaroo Island. 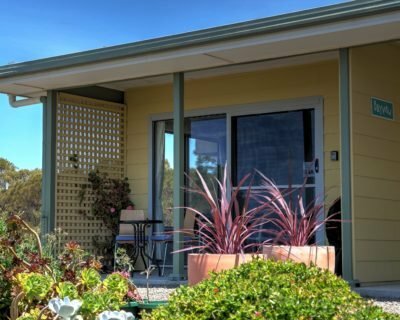 There is no booking fee for guests of Emu Bay Holiday Homes and we offer a discounted rate for our guests. All accommodation options are fully self-contained – including all linen, extra blankets, quilts, pillows and towels. All you need to bring is food and beverages. Coffee, tea, sugar and basic condiments including salt/pepper and some spices are provided. Are there any shops at Emu Bay? No – there are no shops at Emu Bay, but Kingscote, the Island’s main commercial centre, is only 15 minutes drive away. How far are you from the beach, jetty and boat ramp? It is a 5 minute (500m) walk to the beach. Why do people lift their finger when they drive past you? It is the way people on Kangaroo Island greet each other. You don’t have to know someone to greet them. Try it and see how many people greet you back. Does your property have disability access? The cottages, apartment and Jireh house has a level patio, with small step to enter the house. This accommodation is suitable for individuals with decreased mobility and will accommodate walking frames or wheeled walkers. Amani, our main residence has just been renovated with a wheelchair access and will be available for bookings from the end of October online. Enquiries to bookings@emubayholidayhomes.com.au at present. Emu Bay beach is excellent for people with decreased mobility as you can drive onto the beach and it is a very safe swimming beach. Yes – there is ample room for boat parking on the property, and fish cleaning facilities are available at the boat ramp. NO fish cleaning on site please. Do all of your accommodation options have a BBQ? Yes – 4-burner BBQs are available in the larger homes. Smaller BBQs are provided at Cabins and Cottages with a Baby WebberQ is available for Bayview Apartment. Is there any play equipment for the kids? Yes – children have a safe 5 ½ acre property to explore with lots of room for a game of cricket or footie. Our cubby house is a favourite with the little ones! We also have two sets of swings and a swingball game. Unfortunately we do not allow pets on the property due to the abundance of local wildlife. Guide dogs are welcome. Please advise on booking. Boarding kennels are available on the Island. Cancellation more than 30 days before arrival – loss of deposit. Cancellation between 8 – 30 days of arrival – 50 % of total cost. Cancellation 7 and less days before arrival – 80% of total cost. Cancellation within 24 hours of arrival – 100% of total cost. Arrival time is based on 2 pm check-in South Australian time on arrival day. We recommend you take out travel insurance for unforeseen circumstances. Severe weather conditions in winter may occasionally cause ferry cancellations. 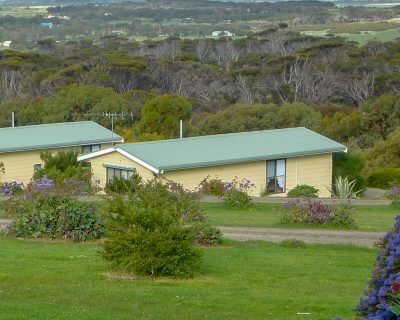 The same accommodation cancellation conditions apply for guests arriving by plane or ferry to Kangaroo Island. No refunds can be given for unused services or early departures. Where is fuel available on the Island? 24 hour fuel is available in Kingscote at the Caltex OTR on Telegraph road. Fuel is also available in Penneshaw, Parndana and Vivonne Bay during certain hours. Make sure your tank is full when heading west. PLEASE REMEMBER THAT IN AUSTRALIA WE DRIVE ON THE LEFT HAND SIDE OF THE ROAD. Is there restrictions on what I can bring with me to the Island? There are some items that you cannot bring to Kangaroo Island. Penalties apply so please dispose of them before boarding a flight or ferry. Bees, bee handling equipment and honey products – that means no honey! You will be able to buy beautiful KI Ligurian honey on the Island. Potatoes for eating that are unwashed or dirty. Washed,brushed potatoes in new packaging for consumption is allowed. Diseases could devastate the island’s seed potato industry. Foxes, rabbits and declared weeds. For more information go to Natural Resources Kangaroo Island‘s Information Page. How does your seasonal rates work? Do you provide any meals in your accommodation? 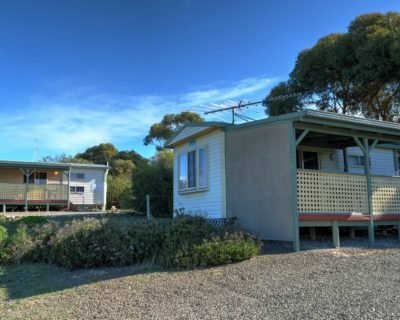 Lucy from KI KITCHEN offers in-house catering for Emu Bay Holiday Homes. All catering is delivered to your accommodation for you to heat or BBQ. You can contact Lucy on kikitchen@bigpond.com or mobile/text to +61 409 991 794.